Appreciate the collections at The Metropolitan Museum of Art and The Museum of Modern Art (MoMA). 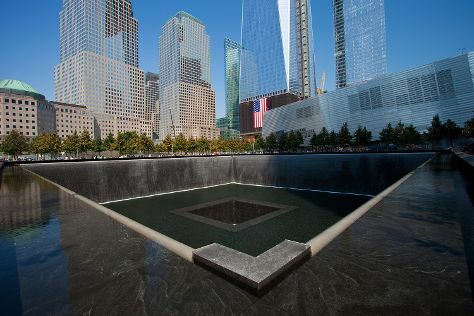 Do some cultural sightseeing at Times Square and 9/11 Memorial. There's more to do: take in the pleasant sights at Central Park and admire the landmark architecture of Empire State Building. To find traveler tips, where to stay, ratings, and other tourist information, you can read our New York City holiday builder . San Francisco to New York City is an approximately 9-hour combination of flight and bus. You can also fly; or drive. The time zone changes from Pacific Standard Time (PST) to Eastern Standard Time (EST), which is usually a 3 hour difference. In October, plan for daily highs up to 70°F, and evening lows to 57°F. Wrap up your sightseeing on the 3rd (Thu) early enough to travel to Old Saybrook. Old Saybrook is a town in Middlesex County, Connecticut, United States. Relax by the water at Goldsmith's Inlet and Hole-in-the-Wall Beach. Eschew the tourist crowds and head to Elizabeth A. Morton National Wildlife Refuge and Baiting Hollow Hummingbird Sanctuary. When in Old Saybrook, make a side trip to see Orient Beach State Park in Orient, approximately 30 minutes away. The adventure continues: look for all kinds of wild species at Meigs Point Nature Center. To see where to stay, photos, more things to do, and more tourist information, refer to the Old Saybrook tour itinerary planning website . Traveling by car from New York City to Old Saybrook takes 2.5 hours. Plan for slightly colder temperatures traveling from New York City in October, with highs in Old Saybrook at 64°F and lows at 48°F. Finish your sightseeing early on the 6th (Sun) so you can travel to Washington DC. 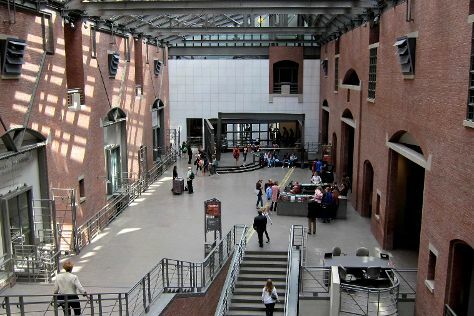 Start off your visit on the 7th (Mon): see the interesting displays at United States Holocaust Memorial Museum, then explore the different monuments and memorials at Arlington National Cemetery, then pause for some photo ops at Vietnam Veterans Memorial, and finally appreciate the history behind Jefferson Memorial. On the 8th (Tue), you'll have a packed day of sightseeing: pause for some photo ops at Korean War Veterans Memorial, see the interesting displays at National Air and Space Museum, and then learn more about the world around you at Smithsonian National Museum of Natural History. To find where to stay, photos, reviews, and other tourist information, you can read our Washington DC trip planner . Explore your travel options from Old Saybrook to Washington DC with the Route module. Expect somewhat warmer temperatures when traveling from Old Saybrook in October; daily highs in Washington DC reach 71°F and lows reach 54°F. Wrap up your sightseeing on the 8th (Tue) to allow time to travel back home.